Catherine A. 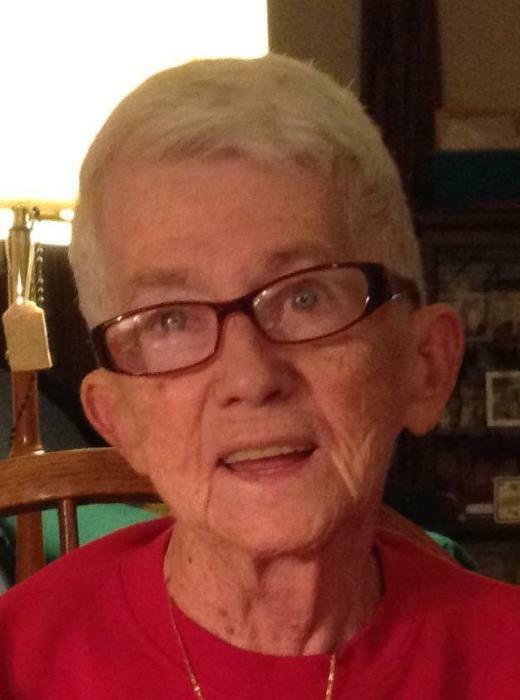 “Katie” Smutniak (nee Griffin) 86 of Whiting, formerly of the Marktown section of East Chicago, passed away peacefully on the morning of Monday, November 27, 2018. She is survived by her beloved husband of 60 years, Edward; loving mother of Karen (Paul) Pariso, Barbara (Johnny) Fernando, Alice (Calvin) Smith Baker and the late Edward Smutniak; cherished grandmother of Kevin and Rachel Pariso; dearest sister of Frances (late Louis) Nuccio and the late Joseph Griffin and Marguerite Price; dear sister-in-law of James (Terry) Smutniak and Raymond (late Theresa) Mulholland; proud aunt to many nieces and nephews. Funeral services will be held on Monday, December 3, 2018, 9:30am at the Baran Funeral Home, 1235-119th St., Whiting; a Mass of Christian Burial will be offered at 10:00am at St. John the Baptist Catholic Church, Whiting, with the Rev. Mark R. Peres, C.PP.S., officiating; interment, St. John Cemetery, Hammond; visitation at the funeral home on Sunday from 2:00 to 6:00pm. The St. John Rosary Society, together with members of the parish, will offer prayers at the funeral home on Sunday at 4:30pm. Catherine Smutniak was born on November 26, 1932 in Decatur, Illinois to William H. and Hazel Griffin. A lifelong resident of the Calumet Region, she was a proud resident of the Marktown neighborhood of East Chicago for 60 years, where she served as a vice precinct committeeman. She was a graduate of Catholic Central High School (Bishop Noll), Class of 1951 and was a past president of the BNI Alumni Mothers Club. She was an active member of St. John the Baptist Catholic Church, Whiting, where she served as a sacristan for 30 years, volunteered at the St. John School Library for 13 years and was a member of the Rosary Society. She was a member of the Slovak Gymnastic Sokol, Lodge 269, serving as its financial secretary for many years. She loved people and enjoyed doing home health care for many. Devoted to her family, Catherine will be sadly missed by all who knew and loved her. In lieu of flowers, memorials to Bishop Noll Institute, would be appreciated.